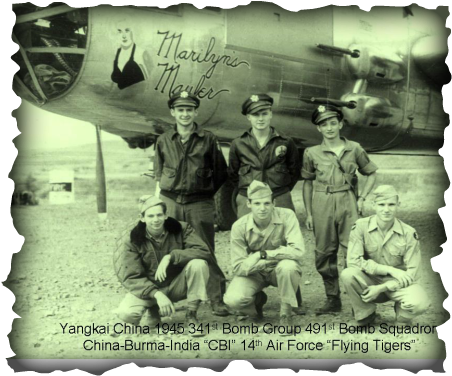 Crew of B25 Mitchell of the 14th Air Force "Flying Tigers", 341st Bomb Group, 491st Bombardment Squadron "Ringer Squadron" based at Yangkai airbase, China 1945. 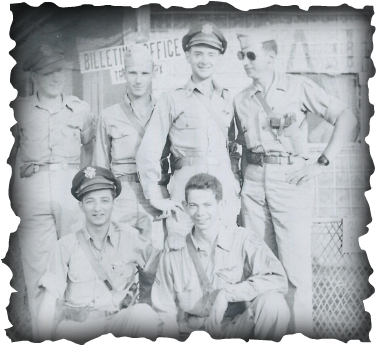 Top row L to R are Lt. Quentin E. Wood (Pilot), Lt. Frank V. Degruy (Pilot), Lt. Leonard Fishman (Navigator Bomber), Bottom row L to R are Cpl. 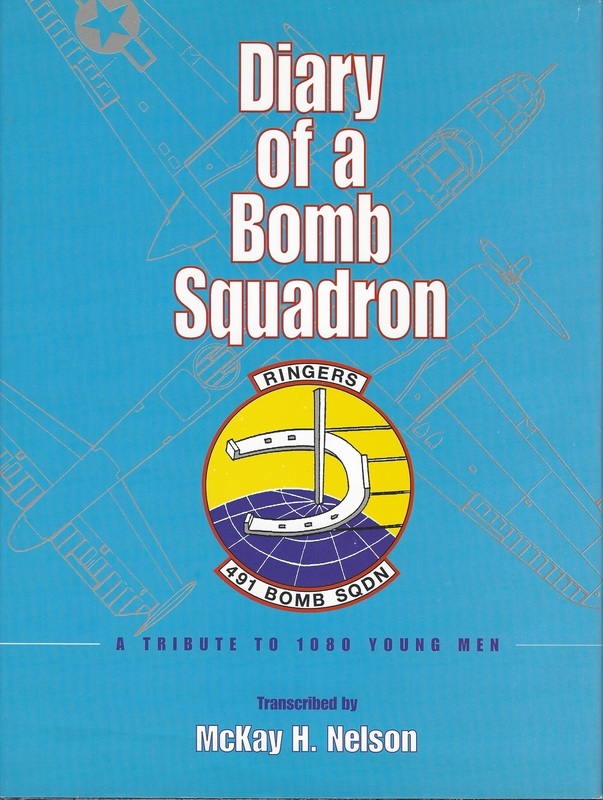 Bernard Fisher (Radio Gunner), Cpl. 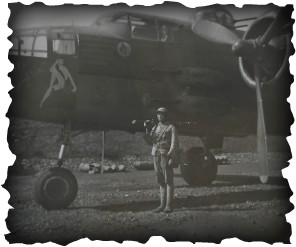 Charles G. Ward (Armament Gunner),T/Sgt. Frank B. Stewart (Flight Engineer, Gunner). 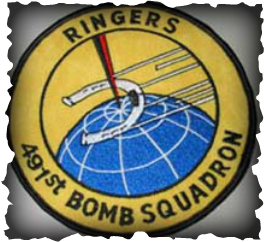 Enjoy the slideshow below featuring the 341BG, 491st "Ringers" Bombardment Squadron! Below are photos of an original 491st Bomb Squadron flight jacket from the collection of Landy Hardy. This jacket has all original patches and chit on back. The original A2 tag and lining is intact and the right shoulder has a bullion CBI theatre made AAF patch. Note the AAF bullion patch with leather surround, it is machine sewn as is all the insignia, same cotton thread but the jacket shows just above at the shoulder some dry rot. That patch has been on there since WW2. 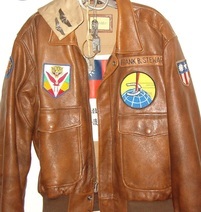 The name tag on the jacket shows "Frank Stuart" as a bombardier. 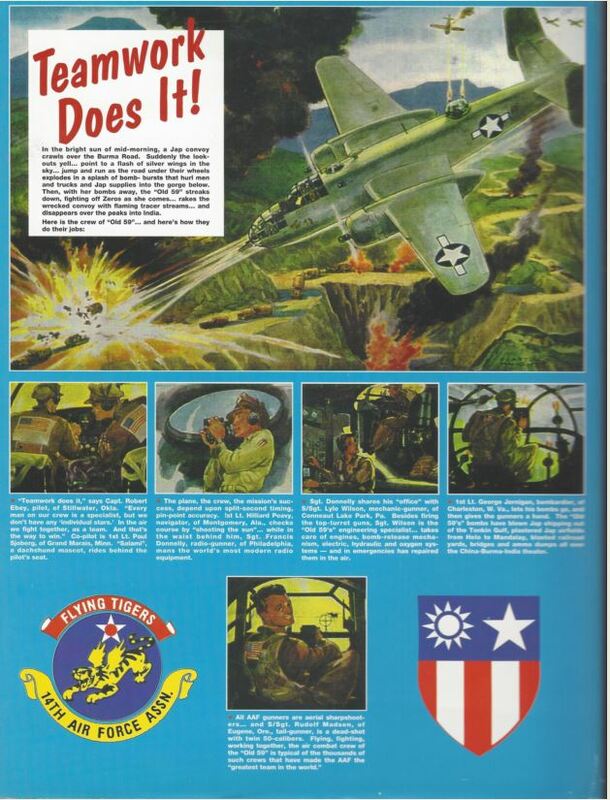 If anyone has any further information on this "Frank Stuart" please contact Warbirds Unlimited. Enjoy the photos!